Pictured above: From our trip in January of 2013 to Ouanaminthe, Haiti. Here a young boy is rummaging through trash for food. In January of 2013, I (Linda Filipi) traveled with my father-in-law and mother-in-law to Haiti. We had previously created a non-profit organization (Chronic Care International) in the Dominican Republic providing medical care for the under-served, mostly those with diabetes and high blood pressure. Our main objective while visiting Haiti was to entertain the possibility of duplicating our program there. One of our Haitian physicians, Dr. Lesly Manigat, introduced us to a plethora of needs. Honestly, I had never seen anything like it before in my life. People were desperate for the basic necessities to sustain life, food and clean drinking water. The picture above depicts a boy we witnessed rummaging through the garbage in hopes to find food that the pigs and chickens had not pillaged already. Once you have been exposed to the truth, it is hard to erase the images from your mind. Ghandi stated "Be the change you wish to see in the world." We had to do something but had no idea what. Dr. Manigat explained to us that after the earthquake in 2010, the European Union built a water filtration system in Limonade, Haiti. It pumped water from a far off reservoir up the mountain and down in to the city. Usually the women and children are responsible for the water collection. Children often walk several miles a day just to retrieve a days worth of water supply. With the water system, it gave opportunities for children to go to school. The European Union made an incredible impact with the initial investment in building the water filtration system. However, many times the maintenance of a non-profit endeavor is more difficult than the initial start. The problem later occurred when the Haitians couldn't afford the chlorine to purify the water or maintain the system. Our entire family (extended included in Omaha, NE) took on the challenge of trying to raise money to purchase chlorine. After sharing stories of what we saw, the children in our family wanted to help. Our son, and I took the issue to his elementary school, Canyon Vista, in Aliso Viejo, California. The Peer Assisted Leadership group (PAL) that he is a member of desperately wanted to help. Therefore, we created this program that operates under our non-profit organization, Chronic Care International, who facilitates payment for the chlorine on a monthly basis. Ninety-nine percent of the proceeds we raise go directly to the cause. The only expense is the wire transfer to pay for chlorine. 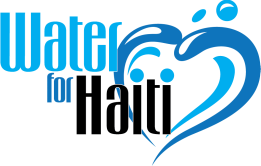 The purpose of our program, Water for Haiti, is two-fold. First, it is to educate the children in the United States of the hardships children and adults face when they do not have access to clean drinking water. Second is to raise money to purchase chlorine to purify the water in Limonade, Haiti. Our goal this year is to raise $7,200. This provides clean water for 52.000 people for three years! if you are interested in Volunteering click 'Contact Us' for more information.